Whether you’re moving your brick-and-mortar store online or expanding your online business, learning from industry insiders is the best way to jump the line. As part of our Masters of Trade webinar series, we were lucky to have Eytan Wiener share some of the lessons he learned while building a 25 million-dollar company, Quantum Networks. 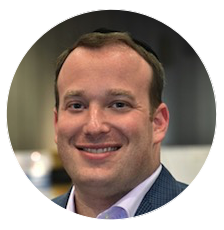 Today, Eytan serves on the board of PROSPER, the premier Amazon FBA show, and is a partner at reverse logistics company TradePort. Show up and sell what nobody else is selling online. Don’t spread yourself thin by selling on too many channels. Focus! Don’t do everything yourself: Hire people, outsource tasks. 1. Show up and sell what nobody else is selling online. When deciding what to sell, ask yourself: What products aren’t being sold online yet? You don’t even need to come up with a new product. Find that specific niche that isn’t sold online in a certain area and go from there. It can be as generic as a waterproof bluetooth speaker, plumbing supplies, or manufacturing equipment. E-commerce may be turning twenty but many B2C products still aren’t available online…and even fewer B2B products are available. Make sure you check out geographic breakdowns too – a person selling a hamburger shaper in the US doesn’t help the die-hard grill master in Sweden. As old-school as it may sound, many products are still only marketed through old-school media such as catalogs. Pour through the pages, digitize the interesting products and you could make a lot of money out of it, although it also comes with a certain level of risk. Your niche is out there. And you can make it even easier with automation tools that will help you find and optimize the data while creating listings and web pages that will help you market these products online. The right tool stack will make your life exponentially easier. Multi-channel software. Wasting time managing your order processing, inventory and sales analytics efforts is totally unnecessary. Skubana, for instance, can help you sell in different continents—whether it’s China or the United Kingdom—on many different platforms, such as Amazon, your own website, eBay, Newegg, Walmart, Sears, Shopify, and more. Shipping solutions. What multi-channel software does for your sales expansion, freight solutions such as Freightos does the same for shipping and importing. Rather than having to deal with multiple parties involved in the process—a broker, a warehouse, a shipper, etc., you can get quotes in one place, making the shipping and logistics process easier and worry-free. Returns management. Not everyone will be satisfied with your product the first time they get it. Or they could have higher expectations and want to have it returned or replaced. Amazon’s light policy on returns makes it a lot easier for customers, while potentially killing margins for sellers. To manage this, you can use a solution provider such as TradePort. They can help sellers with returns management, reselling, repairing, refurbishing, and return to vendor requests. Pricing. Prices change pretty frequently, and not being up-to-date on these fluctuations can hurt your business. Your prices may be too low, that you miss out on profits. Or it could be too high that your customers will turn to your competitors instead. With an automated repricing solution such as Informed.co, you can get ahead of your rivals and sell at the most competitive prices without having to monitor price changes manually on all platforms. Centralized customer support. The same way that Skubana manages orders, XSellco Fusion can manage your customer service communications and requests from multiple channels, under one centralized database. This eliminates the need to log in to 17 different sites and emails to manage your customers’ return requests, complaints, and feedback. It also comes with analytic tools to give you statistical insights on your customers. Ad management. Platforms such as Amazon Ads and Google AdWords are pretty useful, but you can try to leverage these platforms a bit more by monitoring your advertising efforts, rather than doing everything manually. Whichever tool you choose, Wiener recommends trying them out first, taking advantage of free trials to see if it fits your business needs. Another factor to consider is customizability. While it’s also possible to build your own software, it could be expensive and tedious to maintain and produced. 3. Don’t spread yourself thin by selling on too many channels. Focus! One common mistake sellers make is selling on too many channels. Just because your inventory management system makes it possible…doesn’t mean you should. While it’s good to cast a wider net and create more opportunities to sell, you should focus your efforts on your website and Amazon (or whatever core channel you choose to focus on initially). Iterate on the process before scaling up and selling on more experimental platforms like eBay or Walmart. Why spend 40 hours of work building listings in other environments that may or may not give you good returns? 4. Don’t do everything yourself: Hire people, outsource tasks. “Me and my partner John, we used to do everything and anything from packing boxes to negotiating to shipping to finance,” Wiener shared. This is perhaps a practical thing to do when you’re a new business, but eventually you’ll have to delegate these tasks to other people. “Hire people who are smarter and better than you,” Wiener advises. If another company can perform non-core aspects of the business better than you can, such as shipping or content writing, then by all means, outsource it. While it’s good to have a solid team responsible for core aspects of your business, outsourcing will not only help you reduce costs, but also allow your team to focus on what they’re good at. As COO and Co-Founder of Quantum Networks, Eytan has overseen the company’s expansion from a startup in 2008 to a 25 million dollar company by 2014. His oversight gained the company a 4,566% increase in revenue, a rise deemed unprecedented in the industry, earning Quantum a place on the INC. 500 list for the three years in a row, as one of the fastest growing companies in the United States. Quantum has remained true to its startup vision of keeping brands at the forefront of the ever-changing e-Commerce landscape. Quantum uses creative marketing, product merchandising and data-driven reporting that allows us to grow your brand’s awareness across the digital landscape. From their fully stocked NJ warehouse to our New York City headquarters, Quantum’s team of experts will navigate you through the intricacies of online selling. Our 10+ years of experience allows us to chart out a custom tailored go to market strategy for your products. In addition to running the company’s daily operational and business development initiatives, Eytan currently spearheads Quantum’s B2B and Government divisions. Eytan shares his breadth of knowledge by being featured regularly as an e-commerce and business startup expert on numerous publications, blogs, and videos, as well as guest lecturing at universities, conferences, and trade shows throughout the world. He is also a Board Member of the Prosper Show and a partner at Tradeport (Returns Mangement).